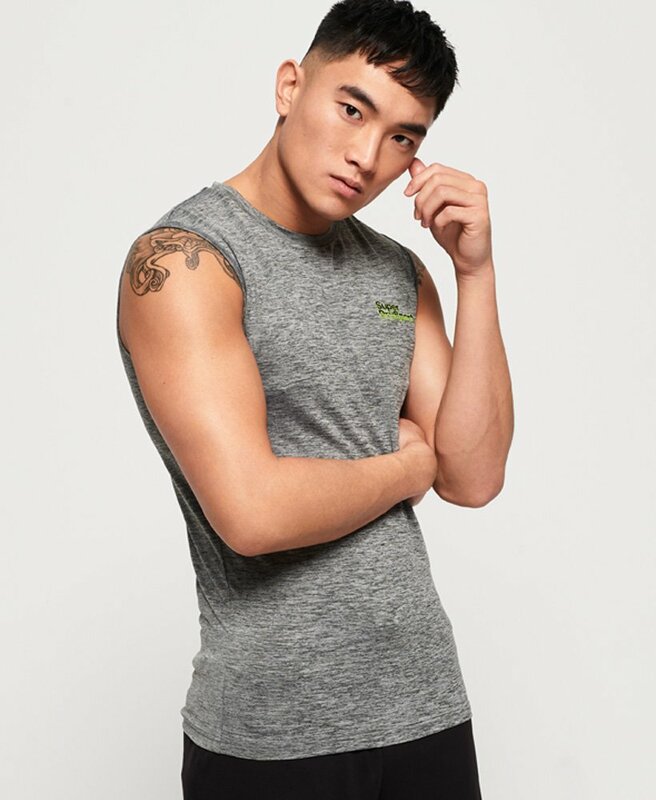 Superdry men's Active small logo graphic tank top. The perfect workout essential, this tank top has been crafted from a lightweight, breathable tech fabric, helping you stay cool and collected as you smash your workout goals. The tank top is completed with small Superdry Sport logos on the chest and back, both with reflective detailing.